World War I was ended by the Treaty of Versailles on June 29, 1919, but the actual fighting between Germany and the Allies ended seven months earlier with armistice of 1918 that went into effect on the eleventh hour of the eleventh day of the eleventh month of 1918. Several years later, in 1926, the day became a holiday known as, Armistice Day. In another 12 years it would become a national holiday, and then on June 1st, 1954 the name was officially changed to Veterans Day. In 1968 the date of Veterans Day was changed to the fourth Monday in October, but after voiced their objection to this date, Veterans Day was returned to its original date, the date of the armistice, November 11th. Veterans Day reminds us to celebrate the bravery and sacrifice of all U.S. veterans, those who served in wartime and peacetime. We encourage you today to attend one of the many celebrations and events taking place today. If you are unable to attend an event, a simple thank you to a veteran will be much appreciated. 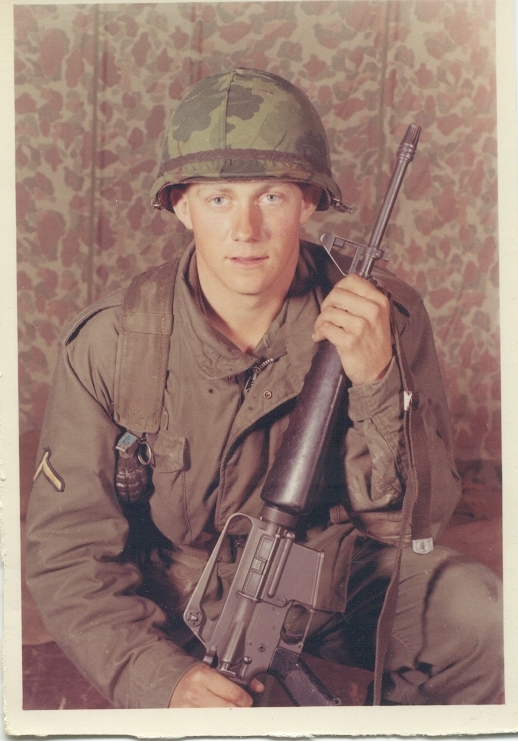 In the Fall of 1968 Bill Painter received his draft notice for service in the U.S. Army. He served from January 1969 through July 1970 with thirteen months of those months as an infantryman in Vietnam. During his time in Vietnam he suffered injuries caused by a nearby grenade explosion, that resulted in significant hearing loss and earned him the Purple Heart. However this injury did not prevent him from serving his full tour. In August of 1995 I began my service in the Army as a Combat Engineer. After basic training and advanced individual training in Fort Leonard Wood, I was sent to Germany to be deployed to Bosnia-Herzegovina as a part of IFOR peacekeeping force. 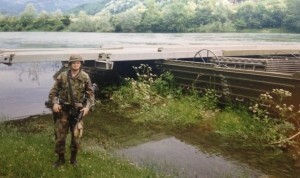 After 9 month in Bosnia I was sent back to Germany to complete my three years active duty service. After serving in active duty, I decided to join the Missouri National Guard for another four years where I had the opportunity to participate in many training exercises, including a visit to Sendai, Japan as part of Yama-Sakurua XLI. To all of our fellow Veterans, we salute you! To honor America’s veterans B&B would like to offer all veterans 15% off of any repair service this entire week.